The comments followed previous statements from the Trump administration on the election, which saw the ruling Cambodian People’s Party win all 125 seats in parliament. 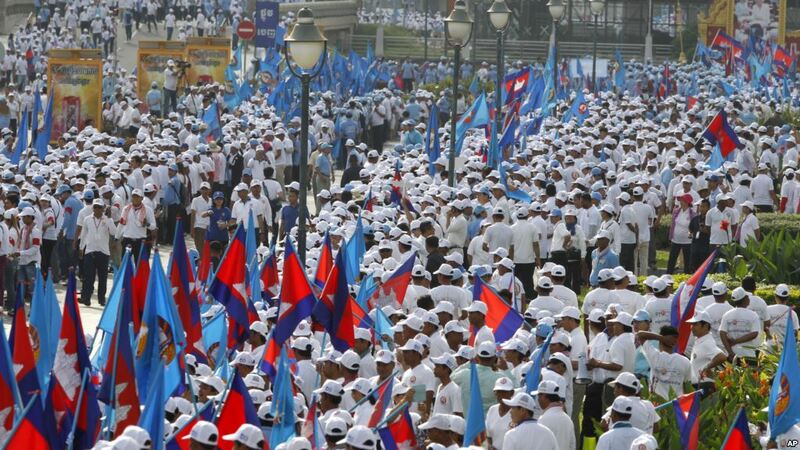 Phnom Penh – A senior Pentagon official has criticized the handling of Cambodia’s election process and the widespread crackdown on the opposition and civil society. Randall G. Schriver, the assistant secretary of defense for Asia Pacific Security Affairs, was speaking at an event on the insights of U.S. strategic policy in Southeast Asia when he made the comments. 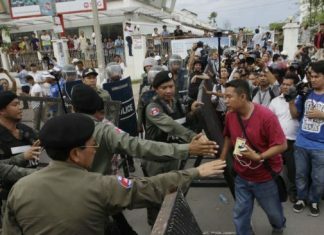 “In Cambodia, we are also concerned about the trend. After Cambodia’s sham election last week, the White House expressed, quote, “profound disappointment” and caution that set steps may be taken in response to that election,” Schriver told the audience at the Washington-based American Enterprise Institute on Tuesday.